Conquering Passion introduces us to Rambaud, Antoine, and Hugh de Montbryce, brothers from a noble Norman family with a long and illustrious military history. The eldest brother, Ram de Montbryce, is an ambitious warrior, greedy for glory and power in the service of his friend, William the Conqueror. His heroism at the Battle of Hastings helps secure the Norman victory and earns him an earldom in newly conquered England. Spring has been raised as a warrior, not knowing she's been stolen as a baby by Cromwell Gunn. 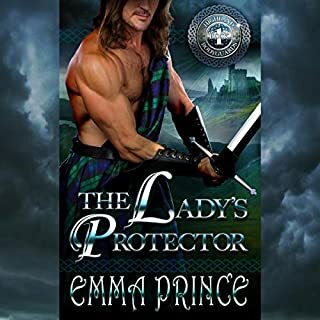 When her clan decides to launch a plan to seize their enemy's castle, she has no choice to go along with it. Shaw Gordon is laird and chieftain and also a widower with three children. He is looking for a wife. But he never expects the offer of his worst enemy's daughter in the form of an alliance. 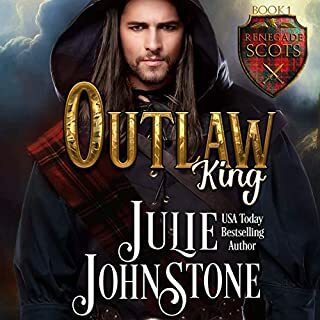 For Chloe Wherlocke, it all begins with a vision - a glimpse into the future that foretells a terrible plot against Lord Julian Kenwood and his newborn son. Chloe's psychic gift allows her to save the child from certain death, but the earl remains in grave peril. . . Historical Romance with a twist! Lady Annalyse Granville is a cursed second-born twin. Because of superstition and fear that a second-born twin is naught but a spawn of the devil, she's been sent to live with the nuns. However, she returns to her father's castle at Christmastime at her sister's request. Her sister is the king's mistress and very pregnant with his baby. And what happens during Annalyse's visit changes her life forever. Stayed up all night listening. Loved it! Anna Markland is a remarkable story teller. She weaves a continually moving story with twist and turns that keeps you on your big toes! 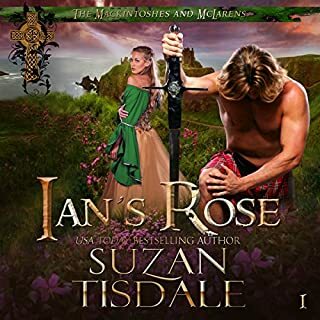 This story was another great addition to her audible collection. Wishing for more audible versions of her stories! Loved the story line and the main characters. They were both strong hero and heroine. Loved the supporting characters too, too many to mention. Read/ listen to the story and you will be carried along in their tale. I must also say words of prose of the narrator Greg Patmore. I recently found his voice and he is one of the most amazing narrators! He has so many different voices to his armamentarium and the lilting sounds of his voice really make the story seem like movie! Thank you for such an enjoyable book! I enjoyed this story of Hanna, the Scottish spy and Morgan the English officer. Do they choose their national loyalty or their love of each other? The story was filled with action, intrigue, longing and romance. The characters were interesting and the narration was engaging. I can highly recommend this as it's well worth the credit! Yes. It is well written and beautifully narrated. What about Greg Patmore’s performance did you like? He made each character come to life. In the midst of war can love bloom? 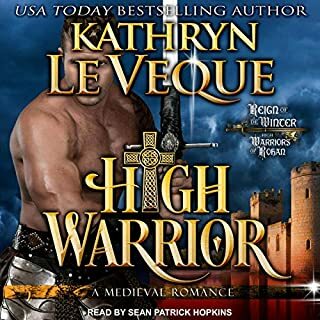 I listened to an Audiobook of Highland Betrayal. I can honestly say that it is the best book that I have read/listened to this year. The author, Anna Markland, weaves a beautiful story of love between two opposing sides in a war. The narration by Greg Patmore further enhances the story. Between Markland's gifted writing and Patmore's narration the story of Morgan Pendray and Hannah Kincaid is brought to vivid life. I almost felt like I was a spectator watching the story unfold. Magnificent. I really enjoyed this audiobook. The narrator had a very pleasant voice and accent. He told the story in a way that made you feel you were right there! I loved getting to know the main characters and their story. Would highly recommend!!! I received this audiobook as a copy to listen and offer a review.